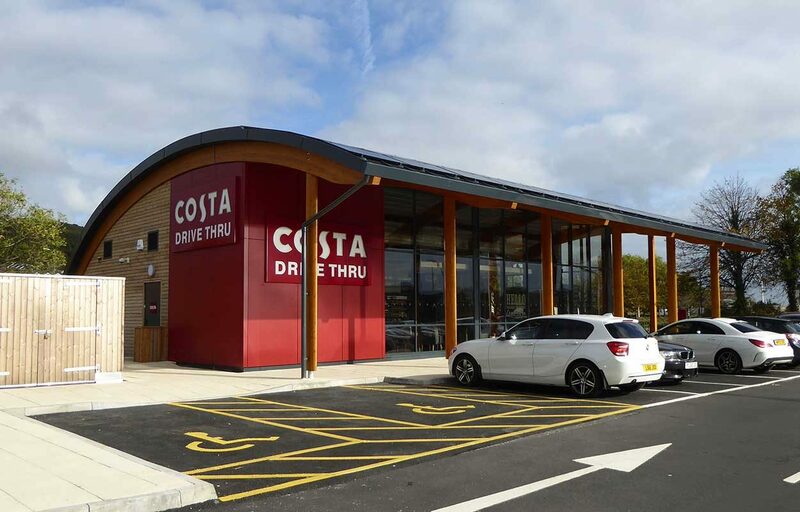 Fordingbridge are extremely proud to have delivered the complete frame and envelope of the UK’s first Net Zero Drive-Thru. 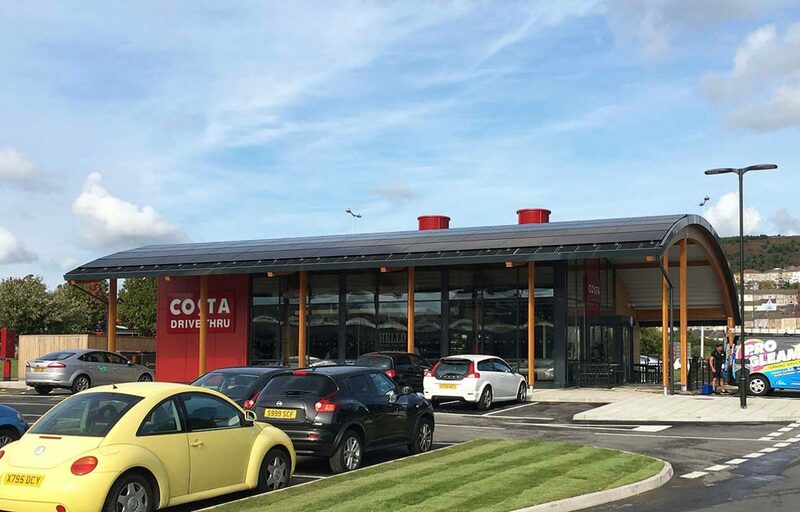 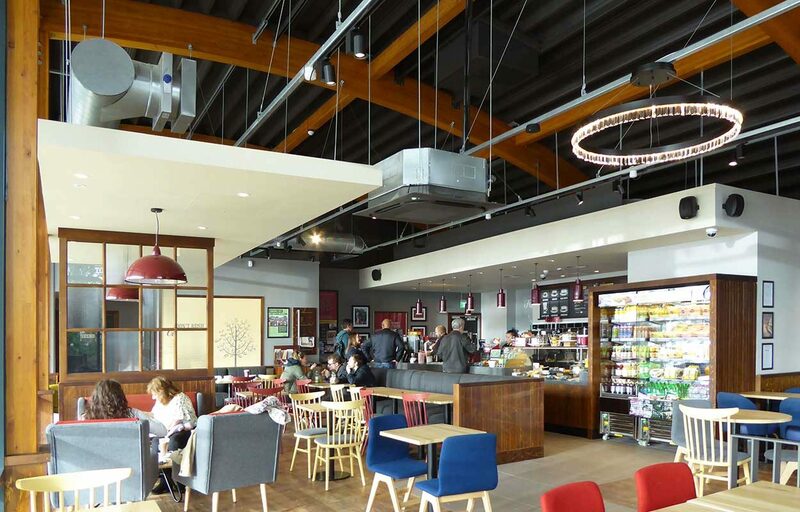 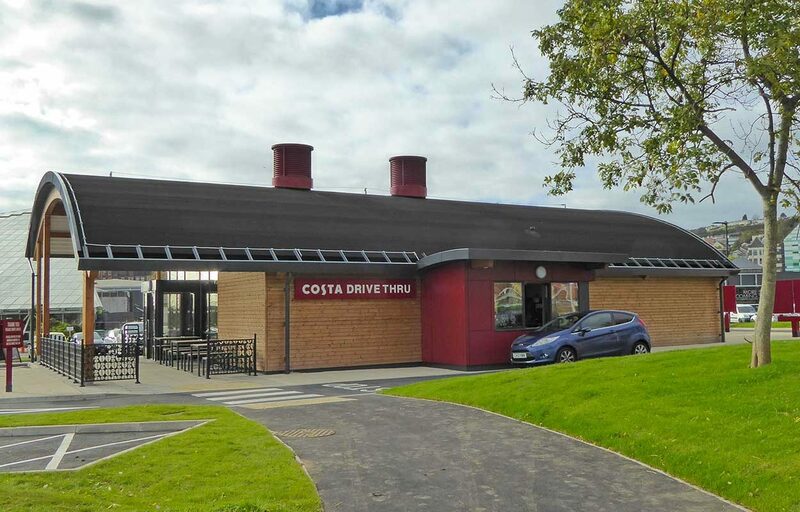 Following on from the first Net Zero retail building for Costa in 2015, Fordingbridge delivered this project for developer Hammerson on their Parc Tawe retail park in Swansea. 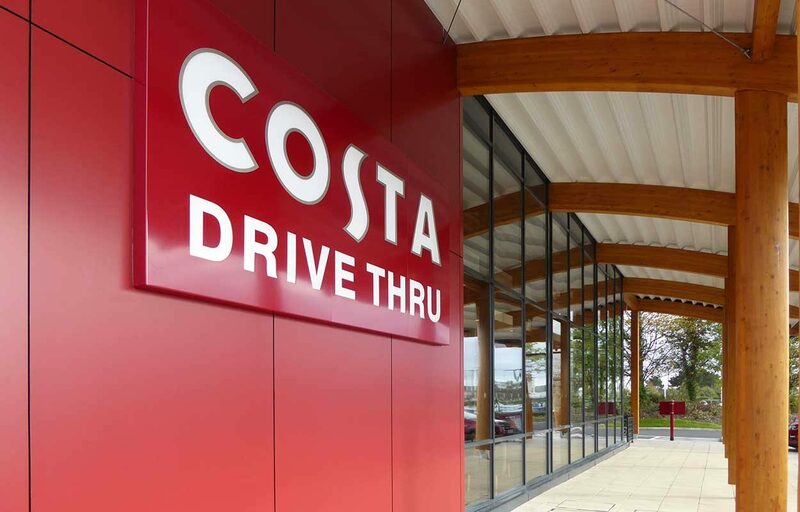 The 186m²/2000ft² pod, designed by Zero Energy Architecture, houses a dine-in and drive-thru Costa Coffee situated in the car park of the large shopping centre redevelopment scheme. 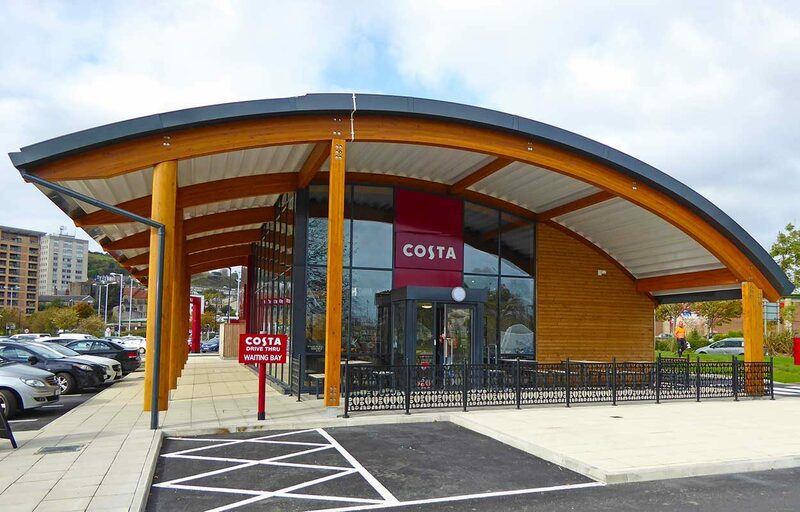 Working with main contractor ISG, Fordingbridge completed the shell of the pod in an eight-week programme, ready for client fit-out. 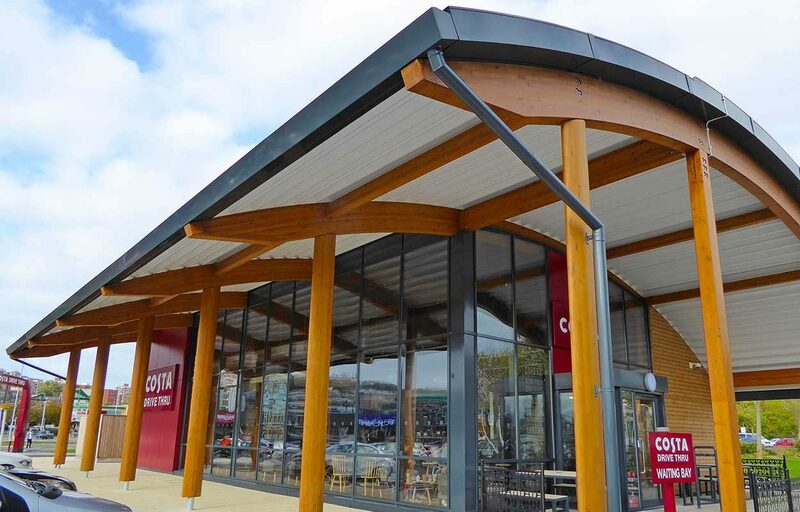 Highly insulated, composite walls and roof to reduce heat loss; the external wall panels are clad with a mixture of heat treated PEFC timber and a colour rain screen cladding in the brand’s colours.